Pulao is an extremely popular Pakistani dish that is present at every Eid table and every special occasion. It is a rice dish in which the rice steams and cooks in a home-made spicy chicken stock. I'll be honest with you. I have seen this dish being made by my mother, grandmother (the original fount of pulao knowledge in my family) and countless aunts over the years, and they all made it look so easy. My mother gave me the recipe and sent me in the kitchen to make Chicken Pulao alone for the first time. And, when I exited a few hours later, I was full of praise and astonishment at how effortless my mother, grandmother and aunts had made it look over the years. 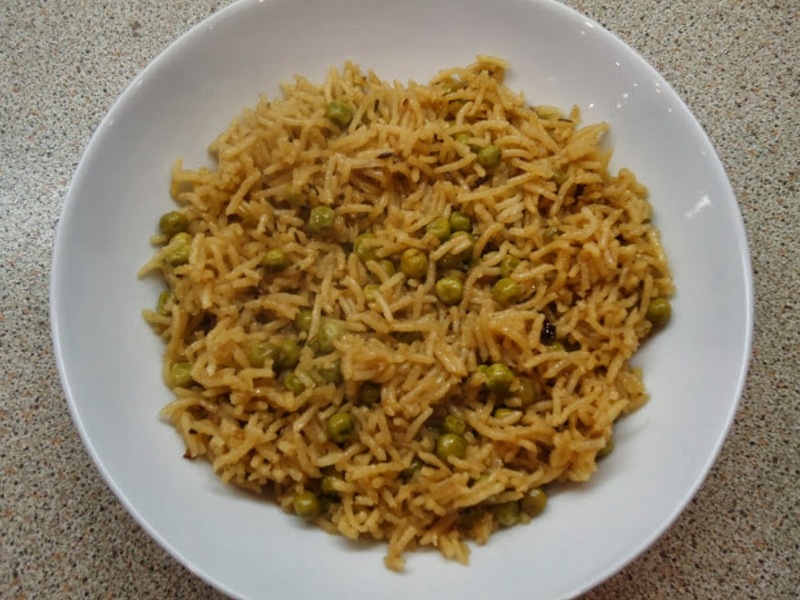 So, this recipe is dedicated to all those amazing ladies, who can whip up a steaming batch of pulao in their sleep - may Allah reward you for all you've done over the years and grant you all Jannatul Firdous - ameen! And, if any of you out there are used to having your mothers make this for you, then I challenge you to have a go at it yourself! The first thing to do is soak 3 cups (690 grams) of Basmati rice in water. Take a large pot, and add 1 whole chicken, cut into pieces. To the chicken, add 5 cups (1 litre and 150ml) of water. Make sure you use the same cup that you measured the rice with. Add all the above ingredients that were measure out before. Stir, bring to the boil and then simmer for 1/2 hour. Next, take another large pot, and heat 4 tablespoons of vegetable oil. 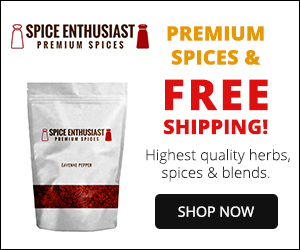 Add 3 teaspoons of cumin seeds. Let the cumin seeds pop and turn dark brown for 2 minutes. Next, take 2 sliced onions. And, 2 sliced green chillies. Add the sliced onions and chillies to the pot. Brown the onions over a medium heat until dark brown. However dark your onions are that's how brown your rice will be. But be sure not to burn them as they can brown quite quickly. At this point, the chicken stock should be done. Have the lid of the pot ready at the side and turn the heat of the onions down to the lowest. Measure out and add 1/2 cup (115ml) of the chicken stock. Cover the pot straight away as fast as you can. Do this carefully though because as liquid hits the pan, it will spit and hiss. Then, let the spitting and hissing calm down and stop before uncovering and stir for 4 minutes over a medium heat to let the onions cook. Next, using a slotted spoon, add the chicken pieces from the stock, and brown them for a few minutes. Next, add 1 tablespoon yoghurt and 1/2 teaspoon black pepper. Next, drain the chicken stock until only the liquid is left behind. Next, measure the stock using the same cup you used to measure the rice. This recipe uses 3 cups (690 grams) rice, so add 5 and 1/2 cups (1 litre and 265ml) stock to the chicken. If the stock runs out and you don't have enough, just add water to the get the amount you need. This won't affect the overall taste. Drain out the 3 cups (690 grams) of Basmati rice that was soaking earlier. Add the rice to the pot. Taste the stock and adjust seasonings, if required. The taste you are looking for should be saltier than usual. This is because the rice will absorb the salt as it steams so you need a little extra. Put onto a medium heat, and let the rice soak up the stock. When it's mostly soaked up, cover and leave for 20 minutes on the lowest heat. Twenty minutes later, and it's done! Serve the pulao straight away with a simple salad and My Green Yoghurt Chutney! 1. First, soak the rice in water. 2. Take a large deep saucepan, and put in the chicken pieces. Add the water, and the rest of the stock ingredients. Stir, bring to the boil and simmer for 30 minutes. 3. Then, take another deep saucepan, and heat the oil. Add the cumin seeds. Let them pop and turn dark brown for 2 minutes. Put in the onions and green chillies, and cook over a medium heat until dark brown. Be careful not to burn the onions. 4. At this point, the stock should be done. Save the liquid and the chicken pieces but discard everything else. 5. Have the lid of the onion pan ready at the side and turn the heat to the lowest. Add ½ cup (115ml) of the chicken stock. Cover the pan straight away. Be careful because as soon as the liquid hits the pan, it will begin to spit and hiss. 6. Once the hissing has stopped, uncover and stir for 4 minutes over a medium heat to let the onions cook. Add the chicken pieces, and cook until golden brown. Add the yoghurt and black pepper, and stir to combine. 7. Add 5 and ½ cups (1 litre and 265ml) of the stock to the pan, and bring to the boil. If you don’t have enough stock, just add water. This will not affect the overall taste. 8. Drain the rice that was soaking earlier, and add to the pan. Taste and adjust seasoning. 9. Put onto a medium heat, and let the rice soak up the stock. When it’s mostly soaked up, cover and leave for 20 minutes on the lowest heat. 10. Serve with salad and Green Yoghurt Chutney. Thank you so much! I will check it out .. I'm really glad you love this dish so much. It's a great classic recipe in my family too especially since it is my grandmothers recipe. I am trying this recipe out for iftar. insha allah hope it turns outo well. will post the verdict. Absolutely delicious extra long grain basmati rice,classic recipe..looks divine. Thank you very much sister, my wife can't cook pulao and especially these days as she is pregnant and wanted pulao for many days, today I seen your recipe and made it , it was so delicious every one loved it. Jazak Allah. Assalamu alaikum! It's no problem .. Glad you enjoyed it! ABSOLUTELY FAB! I made this without the chicken and the rice and subbed in tuna and more peas, best meal I've ever eaten in my life and I've eaten at some fancy restaurants! Thank you so much for this recipe, you are the best chef in the world. Jazak'Allah khair my sister in Islam. A very simple recipe and it turned out really well. My wife & children were really impressed! Chicken pulao turned up very well. I tried different versions but ur version is so yummy. I would like make chicken lasagna if u have recipe could you please share with us. Also, you could brown the onions as the recipe says then add 1/2 cup water to get the dark colour and then sieve it. Use the liquid to cook everything else in - this way the colour and flavour will be there. what type of yorgut do you use? Do Tesco have it? They have plain yorgurt but I don't know which one. Is it greek plain ? any plain yoghurt will do - whether greek or otherwise. Asalamalaykum :) I made this dish without the chillies (my mum doesn't like them) and it turned out nice :) I am learning to cook and your recipes are great and easy to understand :D JazakAllah Khair for the recipe. wasalaam! really glad you liked it - even without the chillies. and i'm so happy you enjoy my recipes. keep cooking! Just a quick question, if I was to make this with 6 cups of rice and how much water would I need? What is your ratio for rice and water? for 6 cups rice, we would use 9 cups water. be sure to use the same measuring cup for both rice and water otherwise it won't work. good luck! Hi, I'm a bit confused now lol on one of your previous posts you said if you have one cup of rice you would double the amount of water minus half so that would be 1 1/2 cups of water? for your 6 cups rice, put in 6 cups of water. then, divide 6 by 2 which is 3. add that to the 6 and it makes 9 cups. this recipe is my mother's recipe and she says if you want softer rice, add an extra cup of water to make 10 cups water for 6 cups rice. today, I am going to re-test this recipe and hopefully get everything into grams which I think is a much better measurement. wish me luck! Thanks for your reply. So would I use this ratio for every time I make pulao whether it's 4 cups or 7 cups? yes. just now, I finished making a pan of the above chicken Pulao and I measured all the cup measurements in grams. my mother's cup measures 230 grams rice and 230ml water or stock. I am definitely going to do an updated version of this recipe though, Insha Allah. glad you like this recipe. and it's no problem whatsoever. I don't eat prawns so unfortunately I don't. but you could try my chicken karahi recipe and sub the chicken for the prawns. but of course, adjust the cooking time to suit the prawns. good luck! 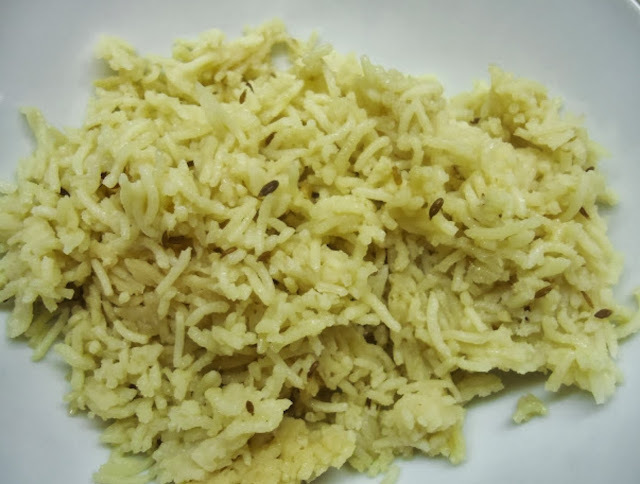 I am keen to try this pulao recipe out as I am trying to practice this all in one dish. I've usually seen my,mum add the chicken into the caramelised onions and whole spices & powders and cook it before adding the pre soaked rice and water in. Your method of boiling/cooking the chicken separately is interesting. What does that do and compared to method that I've seen used often. Also what is the rice water ratio in grams please? Aysha - The reason we cook the chicken separately is so that we can use its boiling liquid. By flavouring it with spices etc. it makes the best chicken stock and gives the pulao extra flavour. For us, the ratio in cups is 1 cup rice to 1 and 1/2 cups water. In grams, it would approximately be 230 grams rice to 345 ml water. As always, if you run out of stock, just top up with water and all will be fine. I was searching for some easy and healthy recipes for my wall decal customers as a recipe ideas for Ramadan fasting. I found your great stuff. Actually I choose this recipe for my blog post. 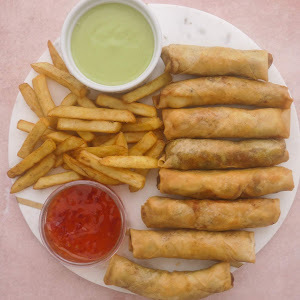 I just published my post “101 Easy and Healthy Recipes for Ramadan Fasting” ( https://www.jrdecal.com/blogs/blog/157433607-101-easy-and-healthy-recipes-for-ramadan-fasting) that I think you will like it. Made this for iftari yesterday and it was perfect! Thanks again! I'm so sorry to hear about your mum. Hopefully, this pulao recipe will help bring back some good memories! 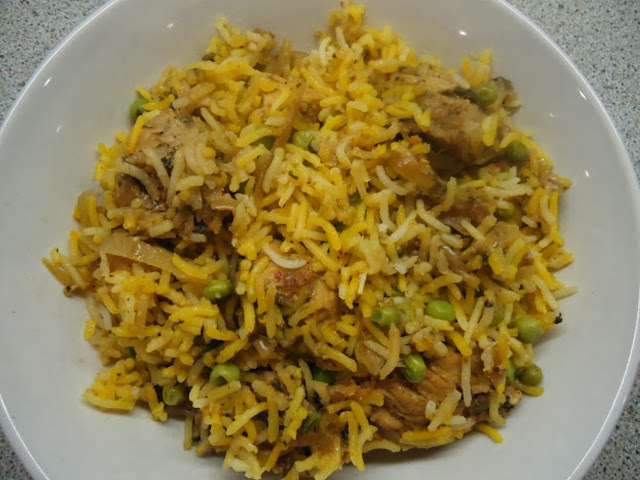 Thank you for this recipe - today we (me and my mom) are preparing the above said pulao. it is smelling marvelous. cant wait to taste. Hi there. 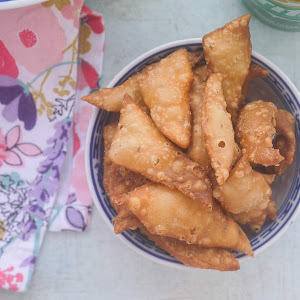 Thanks for this recipe, I saw my Pakistani colleague eat this the other day and it smelled so good, really want to try it out! Just one question, could I use for example a pack of chicken drumsticks or chicken thighs instead of whole chicken? The prospect of having to cut it into pieces terrifies me a bit. Yes, you can use the drumsticks and thighs. I would just make sure they were skinless. And don't worry, cutting up a whole chicken terrifies me too! Wa alaikumus salaam! So glad you liked it! I would make the stock without the chicken (just the spices etc) and add the chicken after the onions have browned. Tried this today. It came out wonderful. Thank you so much. I will be trying out more recipes from your website soon. So glad you enjoyed the chicken pulao!